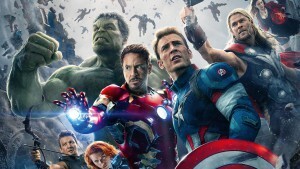 Marvel Studios unleashes the next global phenomenon in the Marvel Cinematic Universe: Marvel’s Avengers: Age of Ultron. Good intentions wreak havoc when Tony Stark (Robert Downey Jr.) unwittingly creates Ultron (James Spader), a terrifying A.I. monster who vows to achieve “world peace” via mass extinction. 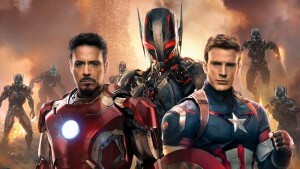 Now, Iron Man, Captain America (Chris Evans), Thor (Chris Hemsworth) and The Hulk (Mark Ruffalo) – alongside Black Widow (Scarlett Johansson), Hawkeye (Jeremy Renner) and Nick Fury (Samuel L. Jackson) – must reassemble to defeat Ultron and save mankind. How would you describe the powers of Scarlett Witch in Marvel’s Avengers: Age Of Ultron? ELIZABETH OLSEN: Scarlet Witch has the power of telekinesis. She can manipulate people’s minds. It’s really nice to be able to play a character that can have mind control. It’s been really cool to pretend to have these powers. How easy was it to portray these superhero powers in the movie? ELIZABETH OLSEN: For my character, there was no blueprint to how Scarlet Witch would move with her magic and her powers. There was no blueprint about how she would manipulate energy either. We looked at images from the comics to help create a movement, which was really special and fun. What was it like to work with Joss Whedon? ELIZABETH OLSEN: Joss is incredible. There’s so much to balance with this movie. Not only did he have to balance all these characters, but he had to balance how everything was going to look at the end and how everything was tracking. I don’t understand how he kept it all connected. You could ask him any question at any time and he knew the answers. You can even be talking about a scene you were filming a few days later. Everything was jumbled during the film shoot, but he knew exactly what was going on at all times. It was incredible. There were a lot of practical sets created for Marvel’s Avengers: Age Of Ultron. Which of the sets impressed you the most? ELIZABETH OLSEN: The Avengers Tower was massive. The details and thought that went into it really blows your mind. It was definitely the coolest set I’ve ever seen. I am a huge fan of being able to transform live places into worlds and they really nailed this one. Other than your own character, who has the most interesting story arc in Avengers: Age of Ultron? ELIZABETH OLSEN: I love the Scarlett Johansson/Mark Ruffalo [Black Widow/ Hulk] relationship in Age Of Ultron. The first time I watched Black Widow talk down Hulk was my favorite. It’s a beautiful moment in the movie. How daunting was the prospect of joining the talented and iconic cast, which includes Mark Ruffalo and Scarlett Johansson? ELIZABETH OLSEN: I feel safe working with Aaron. I felt in good hands. We had an easier rapport with each other and the characters in the film. How would you describe your characters’ bond with that of Quicksilver as brother and sister? And why is that important in Marvel’s Avengers: Age Of Ultron? ELIZABETH OLSEN: I think the heart of our characters’ story, what connects them to each other, is their familial history. Their ultimate goal is to protect each other, although their other goal is to protect where they come from: Sokovia. What excited you the most about portraying the new character in the Marvel Cinematic Universe? 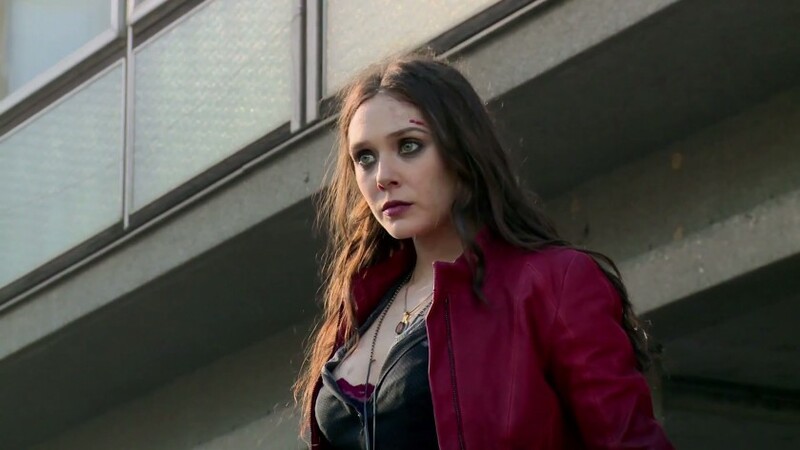 ELIZABETH OLSEN: For me, it was interesting to discover how connected and grounded Wanda [A.K.A. Scarlet Witch] was with the universe. 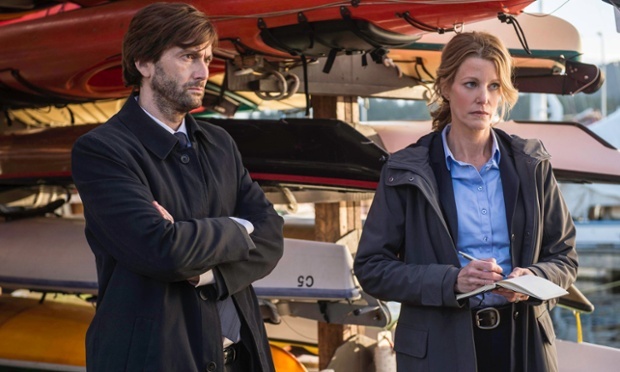 She can get messages from parallel universes from the past or the future, as well as tap into people’s greatest fears – and she has the ability to manipulate their mind. That aspect of the character really excited me because it created a huge plot point in this film. She messes with all The Avengers’ heads to such an extent that they have to go away and come back together as a unit. How much pressure do you feel from the Marvel fans in portraying such iconic characters? ELIZABETH OLSEN: The pressure is so out of your control that you just try and do what you think is right for the character, and what Joss and Kevin Feige think is right for the character. I don’t think Marvel’s ever steered anyone wrong, so it’s a nice gang to be a part of.